Malcolm Gladwell explores the concept of being at a disadvantage in the face of seemingly insurmountable obstacles in his new book, David and Goliath: Underdogs, Misfits, and the Art of Battling Giants. His premise is that weakness is not always what it seems. 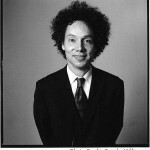 Gladwell combines stories, history, research and psychology to draw his conclusions. All these tools lead to the same conclusion as the gospel. Weakness can be a strength. This book uses different means and methods, yet arrives at a similar connection to the message we explore on NoSuperHeroes. It is not always about being bigger, better, faster, or stronger. In my book Death of the Modern Superhero:How Grace Breaks our Rules, I explore how the gospel of grace breaks many of the rules we are taught through society. Gladwell does the same thing. He starts with the story of David and Goliath. He argues that perhaps the most famous illustration of the underdog winning, may not be what it seems. Goliath was trained in hand to hand combat, David had superior technology in his use of the sling, that he could attack from a distance. Goliath seems to have been a plodding, large man with poor eyesight, perhaps even suffering from acromegaly. David was nimble and quick on his feet, not being weighed down by armor. Perceived disadvantage is not always actual disadvantage. Gladwell goes on to explore many other examples and stories, showing how disability, discrimination, or breaking the rules of what is commonly known as strength can be the cause for a seemingly improbable victory. He shares the inspiring story of a tiny French village, Le Chambon, which stood up to the powerful Nazi army refusing to give up the Jews they were harboring. While not as exciting as his previous books, such as Outliers: The Story of Success or The Tipping Point: How Little Things Can Make a Big Difference, David and Goliath is still a great read. I devoured it in one week after receiving a free copy, along with all 13,000 participants of the Catalyst Conference where Gladwell spoke. At the conference Gladwell added one additional qualification which helped David defeat Goliath to his nimble feet and superior technology. He said when someone has the Spirit of the Lord they are not the underdog. This was perhaps a glimpse into the journey of rediscovering his faith Gladwell has been on while researching and writing this book. This interview illustrates it more. Isn’t it amazing, that the weakness the gospel promotes can be found through many paths, including research and psychology. Malcolm Gladwell took a different path than many of us do, but ended up in the same place.